Getting up and going can be complex in the digital age. When you hit the road, you’re usually accompanied by a multitude of devices that demand your care and attention. But don’t fret-we’ve got you covered with mobile gear that will keep you connected, organized, and powered up. Our Winter Gear Guide—in which we help you find the best ways to accessorize your iPhone, iPod, and Mac—continues. In this third installment, we turn our attention to mobile gear that will help you get the most out of your MacBook, MacBook Pro, or MacBook Air. Even when your on-the-go activities take you off the grid, your gadgets still need juice. 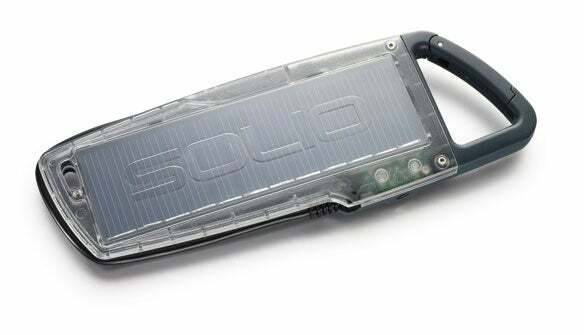 Solio’s Hybrid 1000 solar battery and charger combines a solar panel and a lithium-ion battery in a thin, lightweight, and rugged enclosure. 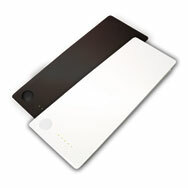 The Hybrid can recharge a mobile phone or add ten hours of playback to an iPod or another portable media player. You connect your gadgets to the built-in power port, using the appropriate adapter-adapters for Nokia phones, as well as for gadgets that charge via USB and mini-USB ports, are included (Solio sells adapters for a variety of other gadgets). 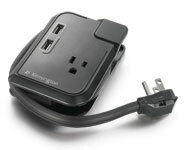 The Hybrid 1000 charges via sunlight or, on darker days (and at night), via USB or an optional AC adapter. (Need a quick burst of power? One hour of sunshine can give you 14 minutes of phone talk time.) A built-in carabiner clip lets you attach the Hybrid 1000 to the outside of your pack so it can charge while you trek. Making sure you have a good backup isn’t a task that’s only for home or office. It’s just as important to keep a current backup when you’re going mobile-perhaps even _more_ so. Other World Computing’s 500GB Mercury On-The-Go FireWire/USB hard drive is capacious enough to back up even the largest laptop drives, with room to spare. Thanks to both FireWire 800 and USB 2.0 interfaces, connectivity and bootability are guaranteed, and because the device uses a low-power, 9.5mm SATA drive, it should work without a power supply on most computers-even via USB. 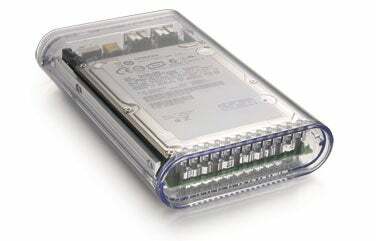 The clear polycarbonate enclosure is rugged and features a built-in aluminum heatsink to keep the drive cool, but the entire package weighs just 12.5 ounces, so backups won’t give you a backache. These days, anyone can record-and publish-podcasts and perform video voiceovers. But even a multimedia amateur needs a decent microphone. 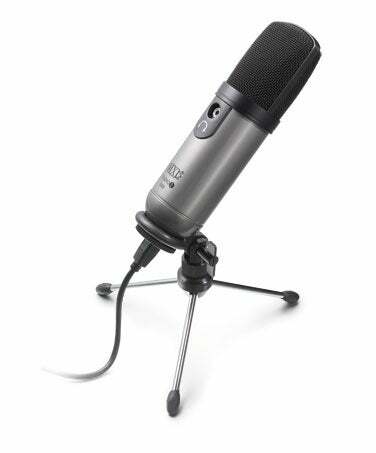 MXL’s Studio 1 USB Desktop Recording Kit is an appealing starter kit that includes a good-quality USB condenser mike with a built-in low-latency headphone jack for monitoring. Just plug the microphone into your Mac’s USB port (a 10-foot cable is included), and you can immediately start recording, using your favorite audio application. The kit also includes a small collapsible tripod and a universal stand adapter; everything fits into padded compartments in the included hard-shell carrying case for mobile recording sessions. Frequent travelers know that few hotels and airport terminals provide enough places to plug in your laptop, your phone, and all your other electronic gadgets. If you can find a single accessible outlet, you consider yourself lucky. The Portable Power Outlet lets you turn that single outlet into a slew of surge-protected charging options: three 3-prong outlets and two USB power ports. A 15-inch cable with a flat wall plug offers flexibility, and the unit’s relatively flat design (for a surge protector) and light weight (7.5 ounces) help it fit easily into your bag. Kensington also sells cables and adapters for powering various electronic devices via USB-so you can leave those bulky power blocks at home. If you’re an aspiring photographer, you’ve likely discovered that having the right gear on hand-a tripod, the correct lens, your laptop-can make a big difference in catching and processing the perfect shot. The challenge? Carrying that gear. Tenba’s Small Shootout Backpack is a surprisingly compact and ergonomic pack that offers an impressive amount of storage. The large, reconfigurable camera area can hold two SLR cameras, five to seven lenses (depending on lens size), and a flash. A separate, reinforced laptop compartment fits a MacBook or a MacBook Air (or any other 13-inch laptop). An innovative tripod-carrying system accommodates any size of tripod, and there are lots of pockets for miscellaneous items. Clever side openings provide quick access to lenses without requiring that you take off the backpack, and with weather-sealed zippers, lots of padding, and a stow-away rain cover, your gear stays safe and dry. The Shootout uses hiking-pack-grade shoulder and waist straps for comfort and stability; you can zip a handy cover over the straps when carrying the bag by its handle or stowing it in an overhead compartment. 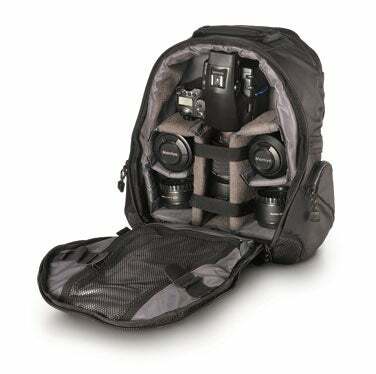 Finally, for times when you aren’t taking photos, the camera-and-laptop organizer lifts out-gear in tow-to turn the Shootout into a standard backpack. Who says high-end luggage companies are old-fashioned? 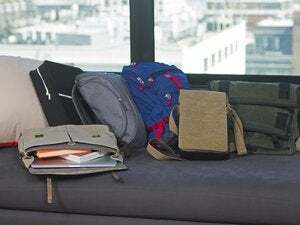 The folks at Briggs & Riley must have spent some vacation time with today’s tech-obsessed families, as the Family Backpack combines executive style with parent-practical design. Incorporating 2520D ballistic nylon (the “self-repairing” kind), heavy-duty zippers, and soft twill lining over a thin layer of padding, this pack should stand up to abuse on the outside while keeping your belongings safe inside. 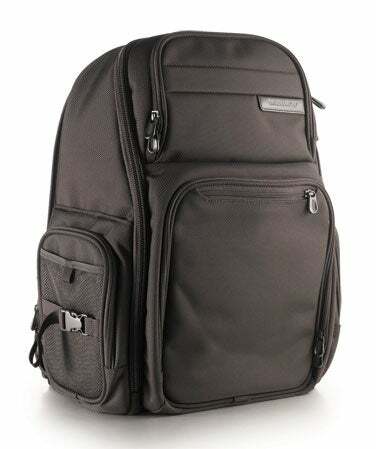 Thick, comfortable shoulder straps and mesh-covered padding on the back make the backpack easy to carry; it also mounts on the telescoping handle of any rolling case. But what makes the Family Backpack unique is its organizational system. A padded pouch fits a portable DVD player or game system; a large main area holds clothes, books, and toys; and countless smaller pockets, inside and out, let you store diapers, bottles, supplies, and even a pocket camera. Perhaps the best feature? A removable, insulated lunch bag that sits on a small shelf at the top of the main compartment so it’s always easy to access. Got a perfectly functional older Mac laptop that sits on a shelf, unused, because its battery dies minutes after you open the lid? Don’t send it to the tech graveyard just yet. Instead, consider a new battery. FastMac offers fit-and-finish-matching replacements for notebooks from as far back as the original iBook and the Pismo PowerBook, all the way up to the latest MacBook and MacBook Pro models. Even better, each TruePower battery gives you more runtime than the original that shipped with your computer. And the company will recycle your old battery for no charge. 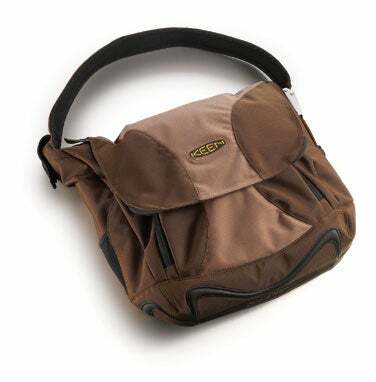 Keen’s Alameda 15 is a stylish messenger-style bag with the standard fixings: an internal pocket for 15-inch laptops, external and internal document pockets, two water-bottle pouches, a mobile-phone pouch, and a number of smaller compartments for miscellaneous items. But two things make the Alameda unique: First, while it’s not as protective as some other bags, it’s surprisingly lightweight (just 2.5 pounds) and flexible. Second, it’s designed with the environment in mind. The durable base is made of excess rubber from the company’s shoe business. The laptop sleeve is made of recycled polyester and recycled and reclaimed foam. And the zipper pulls and the strap’s cam buckle are made of aluminum recycled from old shoe molds.